In my pursuit to learn more and to help my child develop into an independent individual, I try to attend selected seminars conducted by ASP. 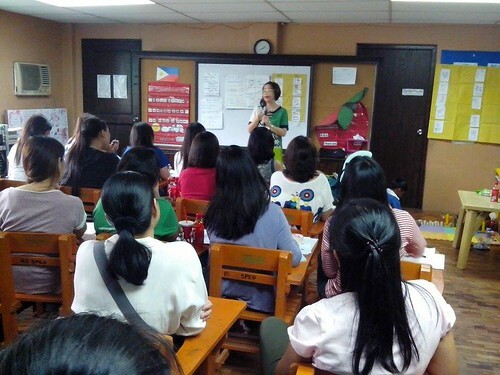 The Seminar Workshop on Autism-Friendly Teaching Environment (Structured Teaching at Home and in School) held last 21 March 2015 at Pasay SPED Center has given me concrete information and impact. What a great time I had at the seminar! Thank you to the organizers, the ASP Pasay City Chapter and the ASP UP CAMP Manila Chapter and most especially to the speaker Mrs. Erlinda U. Koe! The seminar was attended by 11 Parents, 1 Relative and 12 Professionals. The seminar was conducted as part of the training for the ASP Early Steps from ASP UP CAMP Manila and Pasay chapters. About the contributor. Marjorie Gepulle-Bartolome is a licensed teacher-parent of a 9-year old boy with autism, who has been an ASP member since 2011. She searched about developmental delays even before her little boy was diagnosed with ASD. She believes that acceptance, action, and involvement are great factors to help children with autism.